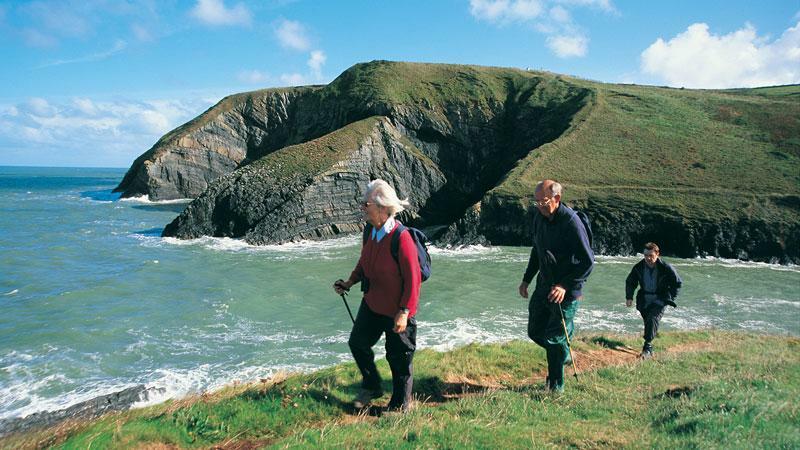 Walk the Pembrokeshire Coast Path National Trail. Hidden bays and sleepy fishing villages. The city of St David's, surprisingly the smallest in Britain. Spot seals and puffins in their natural habitat. Follow trails atop cliff’s, with the crashing Atlantic waves below. Walk the Pembrokeshire Coast Path National Trail following 186 miles of rugged coastline along the western peninsula of Wales. 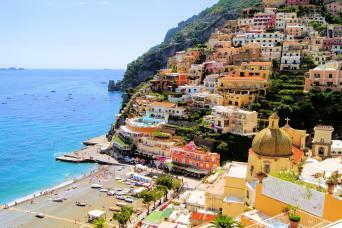 Secluded beaches, castle ruins and sleepy fishing villages are a few of the sights you will see. Follow undulating cliff top trails and listen to the Atlantic waves crashing in the sea caves below. 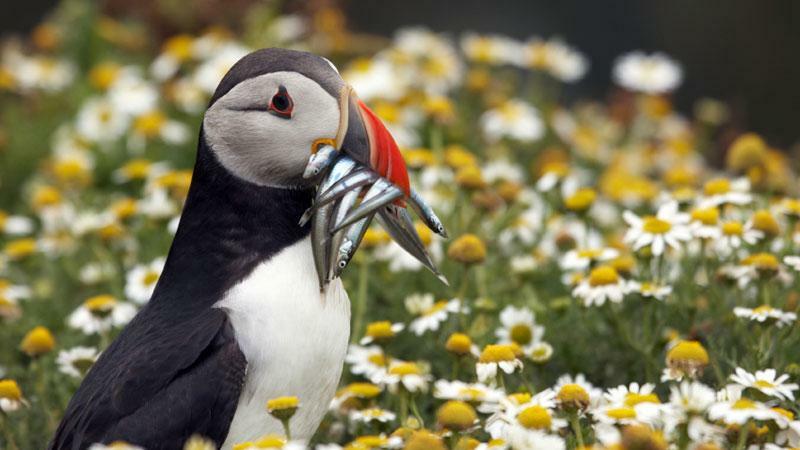 Watch out for puffins and seals who enjoy this coastal habitat and wind your way north along beaches and through traditional Welsh villages. This walk will inspire the senses and leave you feeling energised. Below is a brief description of the trail, broken down into the main sections of the walk. Choose from one of the detailed itineraries on the right for a day by day itinerary that suits you best. The first section of the walk from Amroth follows undulating paths through a mix of woodland cliff-top walking and past sandy coves and the colourful village of Tenby. From here the path follows the coast on to Manorbier Bay and then the welcome sight of Freshwater East. The scenery from here is spectacular, passing wonderful sea cliffs with some steep ups and downs. Wonderful award-winning beaches and sheltered bays make for great picnic spots on this section which is the most popular part of the path. The central section of the walk is varied and begins by following a trail along wooded banks where you encounter Norman castle remains. It then becomes quite industrial, following power stations and oil refineries until you reach Sandy Haven. From here the walk is back on the coast again with wonderful views of the popular small village of Dale. 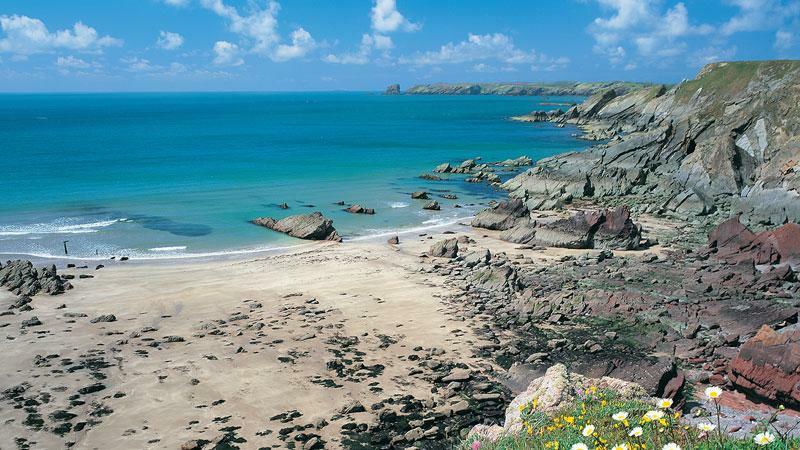 Little Haven and Broad Haven are welcome stops for walkers with a good number of pubs for well-earned refreshment. 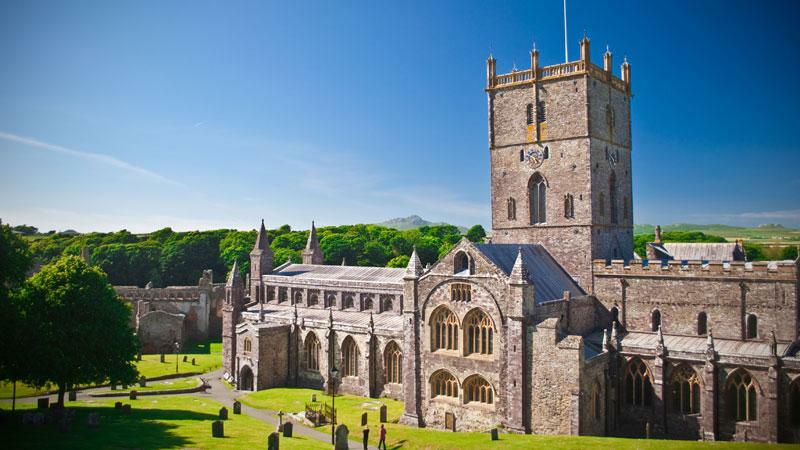 The central section finishes in St Davids, the smallest city in the UK with its wonderful cathedral. The North section from St Davids to Dogmaels is the toughest and most demanding section of the path. Initially, it winds its way past beautiful beaches at Whitesands Bay and then, as you head further west, the scenery becomes wilder and the walking more remote. Join steep cliff paths with wonderful wildflowers and herbs and from Cemaes Head, you can scour the sea, looking for dolphins and seals below. The last days walk is most definitely the hardest, but by the time you get there you will have walked yourself fit and be ready for the challenge. You will stay in a mixture of carefully chosen hotels, country inns, B&B’s, small hotels and guest houses. At times, due to limited accommodation in Amroth (when you begin walking from Amroth) we may have to book you into a property in Tenby. If this is the case, the transfer will need to be paid as an extra cost. In this case you will also need to arrive in Tenby at the beginning of the tour (see travel information). Many of our clients choose to add extra nights along the walk to sample more of the wonderful walking and attractions available on the Pembrokeshire Coast Path. 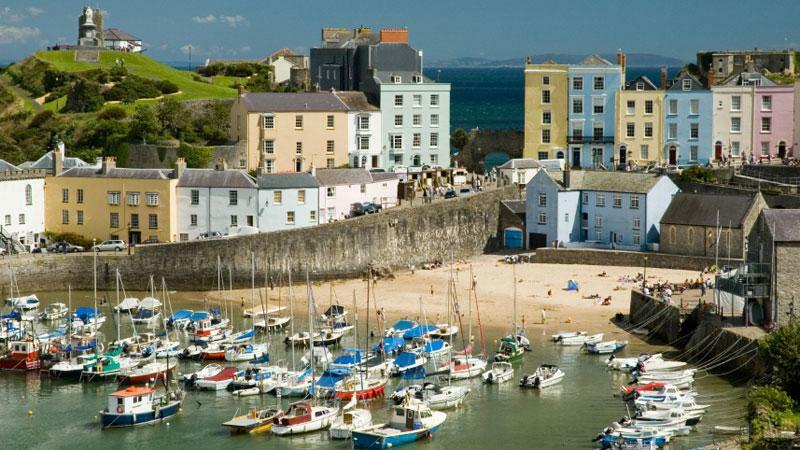 St David’s, Pembroke and Tenby are great for recovery days or simply sightseeing opportunities. Solva is a magical village tucked into the hillside and there are plenty of circular walks over the cliffs that can demand an extra day. The naturalists amongst you will not want to miss the chance to take a boat trip out from St David’s to see the RSPB reserve and seals at Ramsay Island. If you require single rooms within your party we will always try and accommodate you, subject to availability. A single supplement is payable. Some of the images we have used for this tour have been supplied from the Welsh Tourist Board. Crown Copyright (2010) Visit Wales. This family run guest house provides a wonderful start to your Pembrokeshire Coast Path, providing clean and comfortable en-suite rooms. They offer a warm welcome where you can relax and unwind in the garden, lounge or conservatory. This guest house has recently been refurbished to ensure that walkers have a comfortable nights stay. All guest rooms are comfortable and the house has a well-stocked bar and a large guest lounge. Castlemead is in a wooded valley overlooking Manorbier Bay. Each room features an en-suite bathroom, and some rooms also boast far-reaching views of the sea. You can relax in the elegant guest lounge or in the cosy sun room with views of the countryside. A warm welcome awaits you at this quiet country retreat where you can enjoy a restful stay. All rooms are welcoming and comfortable with en-suite bathrooms and come with excellent facilities. They also have a lovely restaurant serving good-value meals all day. 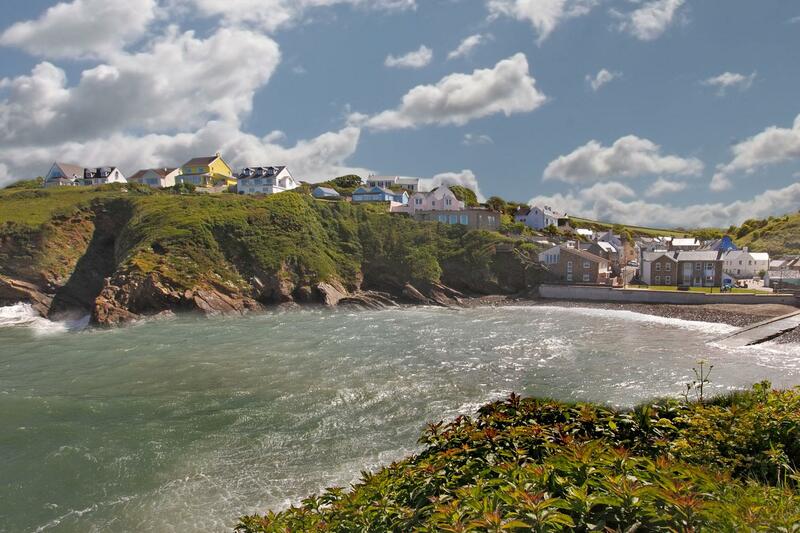 The Hibernia Inn is located on the beautiful Pembrokeshire coastline and offers comfortable country inn accommodation with a restaurant offering excellent local suppers. Penfro B&B offers wonderful accommodation in this Grade 2 listed Georgian mansion. Comfortable and traditional rooms offer walkers a pleasant and comfortable night’s stay. A peaceful 18th century farmhouse set in a sheltered garden with the Pembrokeshire coastal footpath on the doorstep. All home comforts, plus home cooking, and a log fires on chilly evenings. This B&B provides a great welcome and offers a traditional full cooked breakfast. They have a spacious and comfy separate residents lounge, as well as a friendly café/Bar. The Crest stands in a superb clifftop location overlooking the picturesque village and cove of Little Haven. From the house and garden there are wonderful panoramic views across St. Bride’s Bay. Breakfast is served in the conservatory. This B&B is situated overlooking the harbour, offering magnificent views. 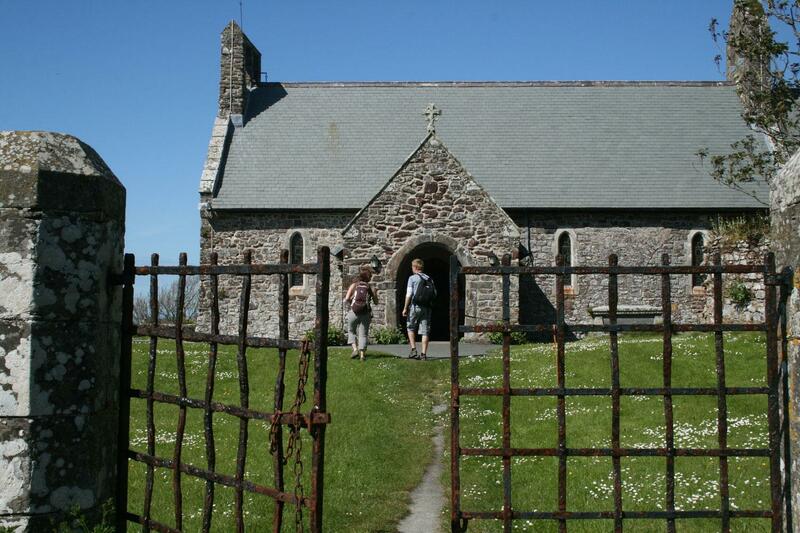 Step out of the front door and you are 50 yards from the Pembrokeshire National Coast path. All rooms have free tea and coffee making facilities and breakfast is served in the cafe. Just a short walk from the city and centre this B&B derives its name from a sheltered cove on Ramsey Island. It is situated in a quiet, relaxing location close to the National Park Visitor Centre. Your hosts will be pleased to welcome you to their friendly and comfortable bed and breakfast, which is very convenient for the Pembrokeshire Coast Path. They extend a particularly special welcome to walkers. This 4* guest house offers luxurious hotel accommodation. It is 300 years old and a Georgian listed townhouse. You can relax in your individually decorated room, many with original fireplaces and antique furniture. The Golden Lion is located very centrally in Newport and provides wonderfully modern rooms with en-suite facilities. Family owned and run, this impressive Edwardian house, built in 1904, offers unrivalled fully-furnished guest house accommodation. Recently it has been completely refurbished throughout. You can start your Pembrokeshire Coast Path Walk anytime between March and the beginning of October. You can enjoy this walk in spring, summer or autumn/fall. In the springtime, you will encounter spring flowers, for example, woods that may be full of bluebells. The summer should be slightly warmer, but perhaps a little busier. The autumn/fall will be quieter and a lovely time to walk this coast path. This tour is graded moderate to strenuous depending on which itinerary you choose. For those wishing to complete the entire walk, it is advisable that you have some previous long distance walking experience. The route is a mixture of paths, beach walking and clifftop paths. Some of the sections can be rocky and steep as you traverse the cliffs. You will often encounter steps as you ascend and descend between the coves. The route is way marked extensively with finger posts and acorn symbols. Navigation skills may be required if you intend to venture off the trail. We provide a guide book and map to help you find your way. Your bags will be transferred from your accommodation as per your itinerary and moved onto your next overnight accommodation. We ask you to limit your luggage to one bag of up to 18kg per person. Please ensure that you do not bring more than one bag of 18kg as if this occurs, the luggage transfer company will ask you to pay an additional fee (approx. £8.00 per day, per bag). This additional payment, should it be necessary, needs to be made locally to the driver and in cash. All luggage need to labelled, as if they are not labelled, we cannot guarantee that they will reach you at the next accommodation. If you are travelling from far afield and do have more than one bag it is possible to arrange for the extra luggage to be stored whilst you are on the tour. (There may be a small charge for this). These additional bags would be picked up at your accommodation at the start point and dropped off wherever you finish depending on the itinerary you choose to do. Please contact us if you are interested in this option.on. By Train/Bus - You can catch the train from Swansea (1H30) or Cardiff (1H) to Kilgetty. From here you can catch a bus to Amroth (30min). There are direct trains from Swansea to Tenby and they take about 1H45. You can also take the train from Cardiff, but this involves one change. More information on trains is available on the Trainline website. For general public transportation information please visit the Traveline. By Car—Please note that there are limited spaces available in Amroth and Tenby and we always advise that you use public transport wherever possible. By Bus—St David’s doesn't have a train station but you can reach the city by bus. From Swansea it takes approx 3H. By Rail/Bus—From St Dogmaels the best way to travel is to catch the bus back to Fishguard (35mins) and then the train to Cardiff (1H30). We can also provide a telephone number for a taxi firm who will take you all the way back to Amroth for a reasonable cost. We suggest you book as soon as your plans are finalised as the region is extremely popular especially over the summer months. However, we will always try our best to accommodate your plans. What’s the largest group size that can walk on this route? Why do our group have to lodge in separate accommodations? Occasionally, due to the small size and number of accommodations on this trail, you will have to lodge in separate accommodations. All of your accommodations are chosen to represent the character of the area and avoid large chains. We feel that this is the best way to explore an area. We will always make you aware of any problems with accommodation in advance. Is the Pembrokeshire Coast Path suitable for those with vertigo? We would not recommend the Pembrokeshire Coast Path for those that suffer from vertigo. The path closely flows the cliff edge and there are no barriers for most of the trail. Is there alternative walking further away from the cliff edge? While there are no inland walks as alternatives, there are buses which run along some sections of the path, that you may like to use. Your detailed information pack will be sent to you after you book. 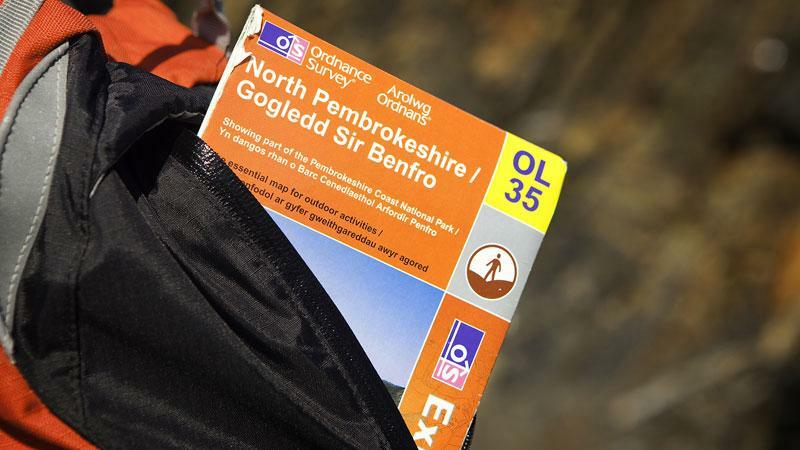 This has a detailed equipment list which includes standard walking gear such as good walking boots or shoes, warm and waterproof clothes and a day pack. This walking holiday is best enjoyed between March and mid-October. Springtime weather can be changeable but usually is the driest time of year, from March to June. You can use public transport or local taxis to continue to your next overnight stop. In some cases, the baggage transfer service that takes your bags on to your next accommodation may be able to assist. Our office can assist with helpful advice should you need to arrange transport for yourself or anyone in your party. What a walk!! This was a stunning walk! The scenery was amazing and ever changing. From the cliffs and beaches to the more industrial sections. The whole walk was brilliant! We had lovely weather on most days and saw seals and their pups, dolphins, porpoises! This is an area of Wales we would love to return to! We have been using Macs Adventures for nearly 10 years now and they never disappoint! Well organised and planned, some great accommodations and we will definitely continue to use them for our walking holidays! First off the people of Wales are delightful! The waking tour along the coast was truly magnificent, I loved the contrast of colors, the different vegetation gracing the landscape. The sheep and cows were adorable. I enjoyed my holiday off the beaten track and have recommend Mac's adventure to my friends and strangers as well. I had such a good time. I would advise to pack a lunch including water if you are planning to hike the coastal path since there is a scant opportunity to stop and eat at a little village of sorts. Well organised. Good accommodation. . Provided exactly what they said they would. A once in a lifetime walk along the full 186 miles. 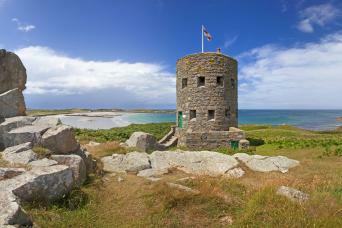 Varied landscapes from stunning coastal-scales, to remote beaches, firing ranges, estuaries and oil refineries! Great flora, fauna and food abound. Generally excellent family-run accommodations, stretching itinerary without being extreme. Great foodie stops along the way with crab sandwiches and lobster rolls, and of course don't forget the quality of the lamb! Well organised all round. Memorable and challenging journey. Besides day one (Prembroke to Milford Haven) which was very ugly as all day in industrial area the walk was great. Beutiful nature and scenary, great relaxation as only a few tourists on the route. The villages are mostly tiniy and besides a pub there is nothing. The km info in the documentation is not correct, every single day (we all had trackings) were between 2 to 4 km more, which was good as the walks would have been way too short otherwise. All very well organized and we had great accomodations and excellent breakfasts. Improvement suggestion: luggage transfer should be later than 9 am. Also breakfast should be offered until 10 am and not latest 9 am. Not possible to have a longer sleep in the entire week. Pembrokeshire in May was so beautiful. 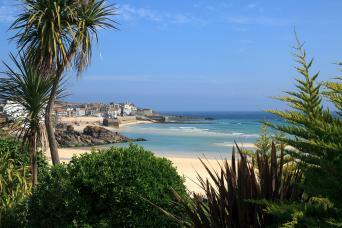 Coastal panoramas, fascinating geology, hidden coves, vast sandy beaches. The wild flowers are fabulous and the nesting birds are a twitchers dream! (Do not do this holiday without binoculars!). 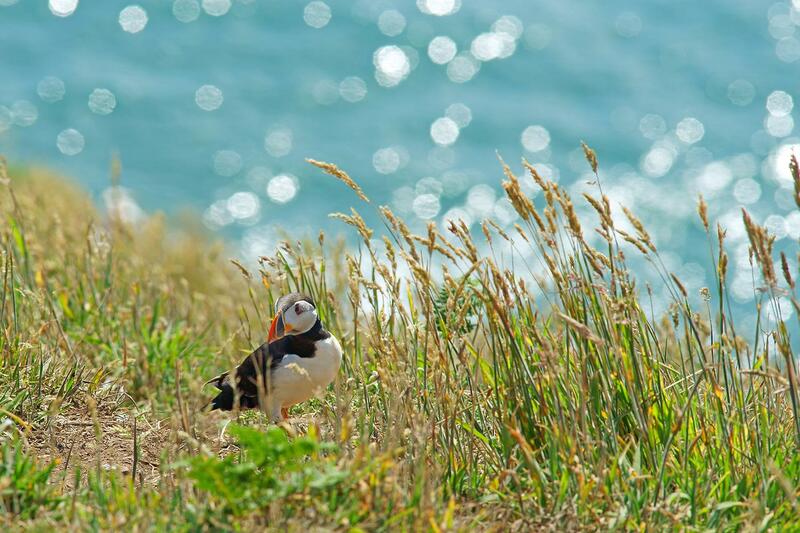 The juxtaposition of farmland and coastal cliffs means the variety of bird types is vast. Listen to stonechats and skylarks on one side whilst hearing the calls of choughs and guillemots on the other! We watched a peregrine falcon hanging almost stationary in the sky above the cliffs before swooping down to take up a better hunting position further along the coast. Magical! The walking was fairly demanding at times (poles needed in second half of holiday) but there were never prolonged sections of ascent or descent just lots of small sections of both! Accommodation was mostly excellent, every one different and memorable in its own way. The route was modified to fit our abilities. The bus was never too far away when weather or legs demanded a break. B&B's were all different and friendly. Accommodation was varied, some interesting & upmarket, some more basic. It would have been good to know how far the B & B was from the path. At Littlehaven, having walked the extra 2 miles to Walkers Lodge, we were told we should have phoned to be collected. This info. was not given. 1. Invigorating, but easily manageable walking distance and terrain 2. Unspoiled, delightful Welsh villages (all within a national park0 3. Pleasant, comfortable accommodations 4. Charming, welcoming Welsh people 5. Gray seals giving birth to, nursing and training seal pups in September and early October. 6. Not overrun with tourists (at least in September). Meet several other walkers during a day, but not crowded trail. Tourists in villages tending to be Brits, taking a holiday cottage for a week or so. If you enjoy coastal walking with endless sandy beaches, cliff top views and plenty of wildlife then this could be the walk for you. Take the challenge and walk the full length in a fortnight or split the walking into the beaches of the South, the varied central section or the rugged and remote North.